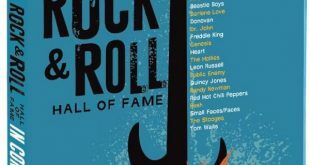 Enjoy 53 live performances from four Rock and Roll Hall of Fame induction ceremonies from 2014 to 2017 (the 29th to 32nd) in this highly recommended (3.5 stars out of 4) Blu-ray version packed with 674 minutes of great material. This live recording caught Dion at the height of his skill as an acoustic singer-songwriter who defined "hip" for his fans. The long wait for the prog rock legends' Hall of Fame induction is almost over, and a new tour is set to begin soon. Sometimes essential really is essential. Not a bad way to get acquainted with the recent Rock and Roll Hall of Fame inductee. The newest members of the Rock And Roll Hall Of Fame are.....? The Rock and Roll Hall of Fame presents the music and nothing but the music on CD.